Just last week I was having a discussion with a loved one about whisky and how the distilleries deal with holiday periods and celebrations. This was a quiet discussion over a dram, the same as many people the world over will have had. What is better than sitting sharing your favourite whisky with someone you love and chatting the night away? We spoke about the Christmas offers you seem to get (in the United Kingdom at least) and have saw, in the past, certain special bottles and celebrations regarding different “holidays”. St Patrick’s Day in Dublin (if not the world) has always been promoted by Guinness and by Jameson’s, and I expect this year to be no different. In fact all national Saints days are starting to grab the attention of the distillers in the relevant countries and although this can be seen as somewhat of a gimmick, it promotes whisky and that’s what we all want to see. The conversation meandered onto other days, specifically Father’s Day and Mother’s Day. Father’s Day in the UK is in June, the 3rd Sunday to be precise, and is always a time that distilleries will try and do a little extra, maybe a special tour, a gift box of whisky paired with cufflinks. In fact we have been guilty ourselves of promoting this holiday, by publishing a gift guide, showcasing the aforementioned products as well as other whiskies that we enjoy all year round. Mother’s Day however is barely mentioned in whisky circles. You get special gin deals or wine gifts, but whisky hardly makes a splash when it comes to the promotion of our beloved product at this time of year. Imagine my delight when I opened my email inbox to see an email from a whisky distillery entitled: Mother’s Day is quickly approaching! At last I thought, gifts from distilleries for Mothers, something the children can give to the Mother in their life, a present they will really appreciate! What product will it be for I thought, what extra gift have they packaged with it? I couldn’t wait to usher in this new development in whisky equality. My joy soon turned to sadness, the email opened and a picture of Stroma Malt Whisky Liqueur appeared. This, combined with the following paragraph, “So, this Mother’s Day avoid gifting clichés and surprise your mum with smooth and sweet tasting Stroma Liqueur”, made my heart sink. Can only Fathers be allowed actual Single Malt Whisky? Are Mother’s palates too sensitive for rugged single malt and therefore can only enjoy whisky in liqueur form? The accompanying picture of a bottle of said Stroma surrounded on both sides by flickering candles does nothing to allay the myth that women only like soft and smooth experiences such as relaxing in a scented bubble bath with candles all around (Plenty of men like that too! Or so I am told…..) The glass of liqueur itself seems to have more ice in it than Beyoncé wears on her fingers. Can women now only like the sweet liqueur as long as it’s watered down some more? I know that whisky adverts and the sexism that sometimes lies therein has been at the forefront of a lot of people’s thoughts over the past couple of years. Time after time, we see men relaxing in a bar, glass in hand, talking to other men, all sitting in the club’s chesterfield chairs, guffawing at the latest deal they have managed to seal at the investment bank that they work at. Women are either nowhere to be seen or are eye candy or there to be ridiculed. I won’t bore you with any examples as I’m sure that most whisky aficionados are well versed with these adverts and the furore that followed. Personally I am usually one for not getting involved with the sexism/gender arguments that have sometimes sullied good debate as many of the relevant and decent points that have been made end up getting lost in amongst a shouting match. I am aware that certain people would just like people who complain about this perceived sexism to “keep quiet” and “know their place”. I am also aware that, sometimes, the other side of the coin can get just as aggressive and force their views on people. All in all this can leave both parties feeling aggrieved and upset and nobody is any further on than where they were before the discussion took place. I just want to see options for people, I want to see more thought going into advertisements and holiday gifts/gimmicks. Not all women or Mothers prefer sweet, smooth drinks, plenty love peated monsters of fire and brimstone, just as many men will go to their whisky shelf and it will be full of floral Lowlanders or Speysiders that are gentle and honeyed on the palate. Whisky now is becoming more and more a gender neutral drink, the majority of bartenders aren’t surprised when a group of women go into a bar and ask to see the whisky menu, they don’t care who drinks it, just as long as it gets sold. Maybe the distilleries should focus more on making sure that the drink these women order, is their product. Let’s face it, the women will not necessarily remember a good advertising campaign, but as sure as the sun will rise tomorrow, they will remember a bad one, especially if it has wronged them. 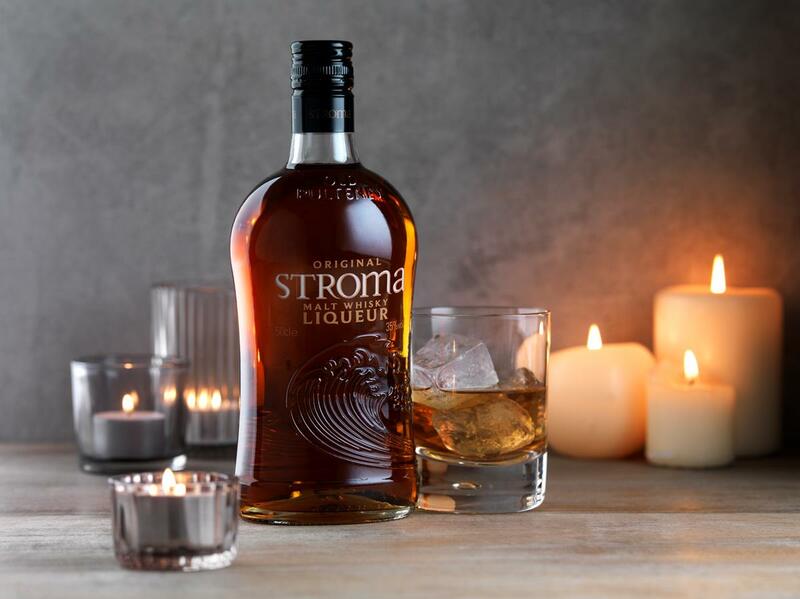 My message to Old Pulteney, the makers of Stroma Liqueur, would be as follows: Well done for entering the Mother’s Day market and remembering that a good percentage of women around the world love their whisky just as much as any man. Next time, however, maybe do not write about avoiding the gifting clichés, when you yourself are just as guilty at falling into that trap.